This is my second go around with Glee Gum (if you're curious, you can view the first one HERE) and I'm thrilled to be working with such a fantastic company once again! Last time was their extensive line of gluten-free chewing gum. This time, it's their make your own kits I get to try out! Not only does glee carry some great products, what I really love about this company, aside from the healthy aspect, is they really care about the environment and educating the youth of America on things like the natural ingredients that they use, the different countries they cultivate them from, the environment itself-As they say in the description for their make your own kits, "as educational toys, the Make Your Own Candy Kits are designed to connect, create, and captivate!" For this review I had my choice of Glee's awesome Make Your Own Kits and I decided to throw caution to the wind and pick the Make Your Own Gummies Kit! 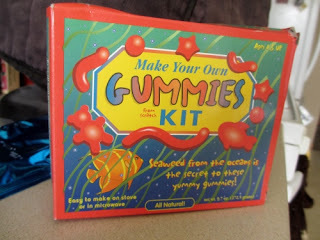 Even though this line of kits is geared towards kids and are kid-friendly, when it came to actually making the gummies themselves, I was a wee bit intimidated! Didn't help that I had lost the directions the kit came with and for the life of me couldn't find them. Glee probably saw that happening because thankfully they had step by step printable directions right on the product's page *whew* Talk about being ahead of the game! For the most part after I got over my intimidation of making the dreaded gummies, the process was fairly simple. 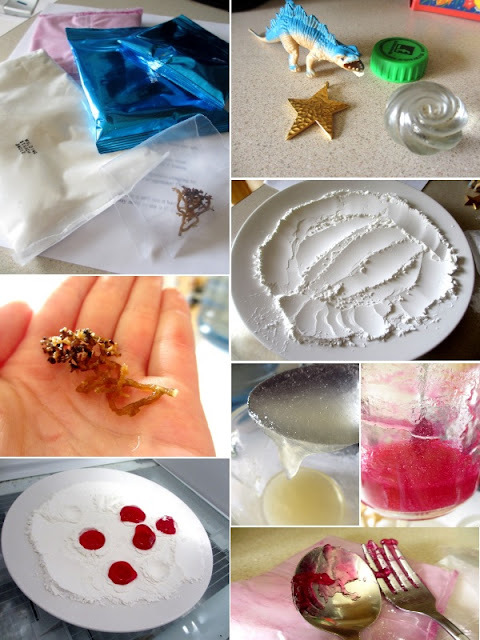 The instructions were very easy to read and follow and the process of finding molds and making the gummy mixture was a pretty fun one. I do suggest picking and choosing your molds very carefully though; I attempted to find 4 molds and only 2 of them worked out in my favor. The only trouble I had was putting the gummie solution into the molds. It seemed to harden too quickly and suddenly it was stuck to the spoon and wouldn't come off! My advice in regards to that: Be quick! After the gummies settled and came out of the refrigerator, it was time to wash them off of excess molding powder and give them a good sour bath! I must admit that I received this kit before Christmas to review and, as you all know, I had some major health issues so I've been unable to do the review until now, nearly 4 months later! My sincere gratitude goes to Molly and the Glee Gum gang for being so patient and understanding with my situation, even after 4 whole months. I've received nothing but kind and compassionate emails inquiring about how I was doing and working with me to be able to get this review done and up. That coupled with Glee Gum's products, I have no trouble proclaiming Glee is one of the best companies I've had the pleasure of working with and I highly, highly recommend them! Disclaimer: I was provided a Make Your Own Gummies Kit courtesy of Glee Gum in order to facilitate this honest review. All opinions expressed above are 100% mine and mine alone unless otherwise stated. Please do your own research before committing to purchase a product or service as your opinions may vary. I agree, Glee is a great company to work with. I've reviewed the Make Your Own Chocolates kit. The kids and I loved it. oh those do look yummy and fun to try w/kiddos!! I think I'd like the sour ones, too!! This would be fun to make with them. Sounds like Glee is a great company to work with. That's great they had the instructions on the page too. I frequently pull things like losing directions haha. 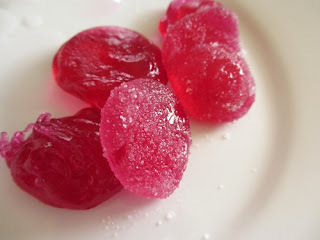 I have always wanted to try making my own candy but it seemed so difficult. That kit makes it seem much easier! YUM!! and that looks like tons of fun! This would be so much fun. My kids would love it!